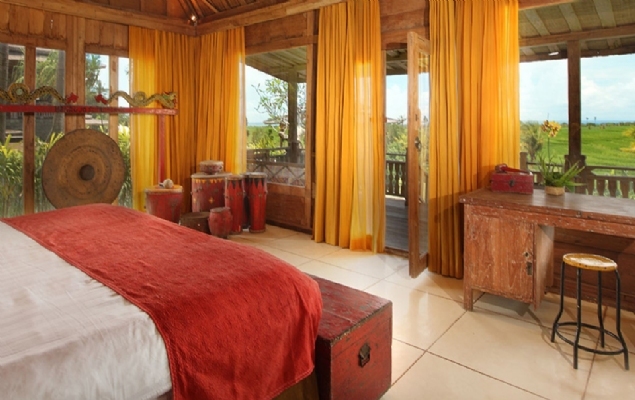 Bali Villa offers visitors a luxurious stay immersed in the genuine and untouched natural beauty of Bali. Indulge in moments of pure relaxation during your stay in this remarkable villa. Travel beyond the buzzing tourist resorts and urban frenzy on a journey along countryside roads into the pristine heart of West Bali. Set amidst a serene landscape of rice fields and traditional Balinese villages, Bali Villa offers visitors a luxurious stay surrounded by the genuine and untouched natural beauty of Bali. Indulge in moments of pure relaxation in this remarkable villa that is infused with a sense of purity and timeless beauty, from its harmonious architecture and refined interior décor to its picture perfect setting and sweeping views. Gaze across the rice terraces toward the sea to watch the dazzling show of colors at sunset or follow the landscape up the verdant slopes of Gunung Batukau, the second highest peak in Bali. This is the Bali that has captured the imagination of visitors to this beguiling island for centuries, and you’ll be immersed in natural beauty every moment of your stay. Enter through a private entrance to the secure villa compound, which is comprised of one central residence and four independent residences. All of the buildings have been constructed following Indonesian traditions. Not architectural recreations, the buildings are historic Javanese teak constructions that were transported here to create the atmosphere of a typical Balinese village. The interior is a harmonious blend of pure lines, modern comfort, brilliant colors and traditional Balinese decorative touches. Set on the picturesque coast of West Bali, the villa is nestled in a relaxing setting while being just a short drive to spectacular beaches, the famous sea temple Pura Tanah Lot, lush rainforests on the slopes of Gunung Batukau, the Greg Norman designed Nirwana Bali Golf Country Club, exciting shopping and nightlife at Seminyak and the cultural and artistic center of Bali at Ubud. Enjoy the peaceful charms of Bali while discovering its top sights during your stay at the Bali Villa. 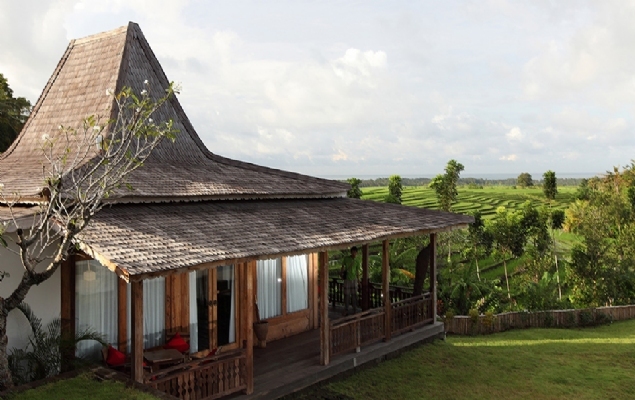 Located in the joglo (traditional Javanese teak wooden home), the 200sq/m living and dining room enjoys breathtaking views over the rice fields. Located on the edge of the rice fields and surrounded by lush vegetation, the Villa 1 offers an invigorating blend of colours and traditional design. 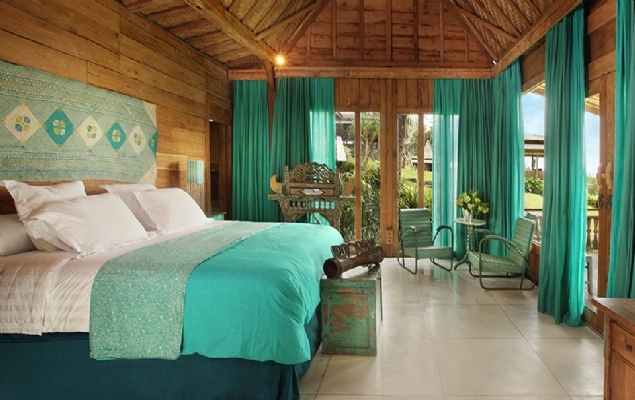 Dominated by warm and spicy colors, Villa 2 offers an intimate atmosphere surrounded by beautiful artistic touches. 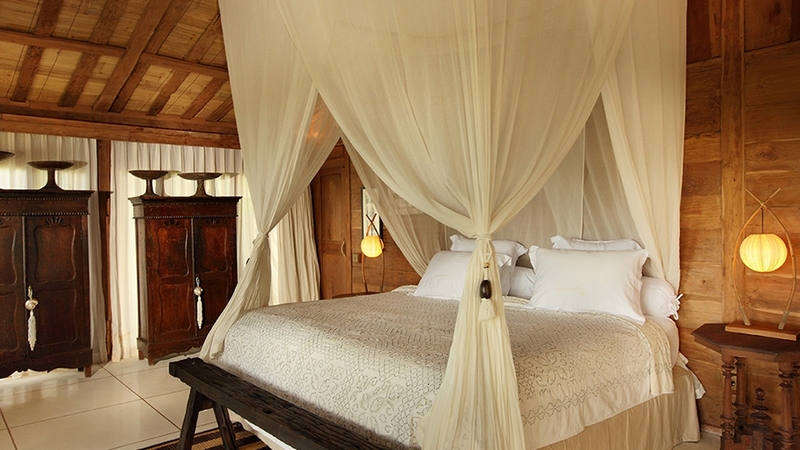 With a touch of brightness and beautiful lace curtains, Villa 3 brings together tradtional design and romance. With its impressive design and ancient wood, Villa 4 features a magnificent view of rice fields and the villa's swimming pool. 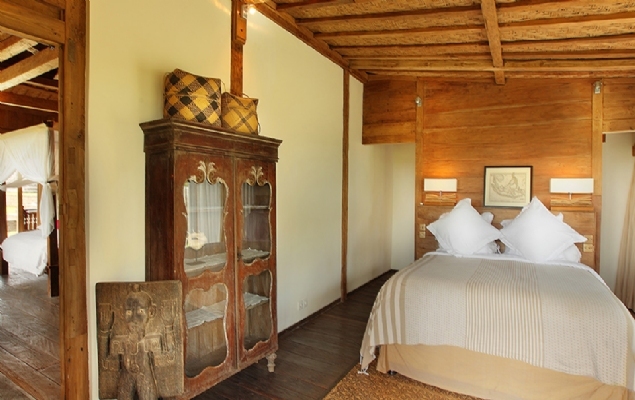 Villa 5 is noted for its charming décor gorgeous view of rice fields and subak (the traditional Balinese irrigation for rice fields) near the villa. With a view of rice fields as far as the eye can see, the stony-walled spa provides the perfect location of a relaxing massage in true Balinese style. 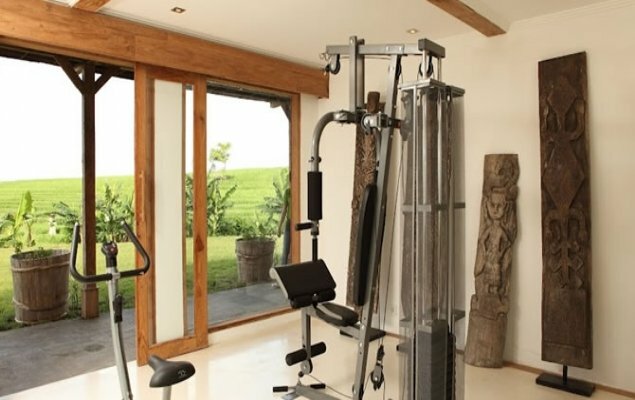 Opening onto rice fields, the modern fitness room has everything you need to stay in shape throughout your stay. One Villa Manager: meets and greets guests on arrival, leads the staff to meet the expectation of each guest. Four butlers: in charge for housekeeping, meals preparation and service. Two security guards: on-duty 24/24h to ensure the safety and security of the guests and the whole area. Car and driver: Guests are requried to pay for their own petrol. 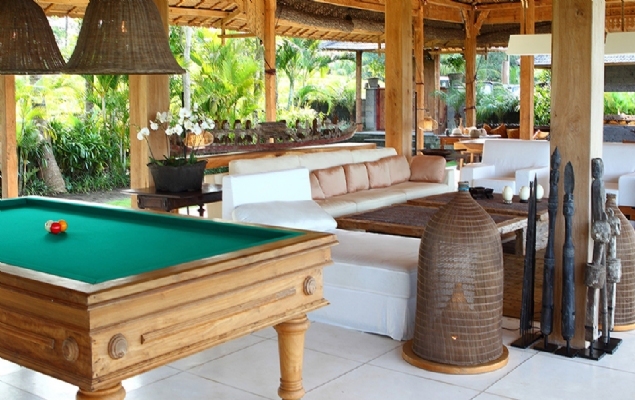 This stunning villa is situated near the picturesque coatline of West Bali surrounded by a peaceful country landscape with rice fields and beautiful views. Enjoy a tranquil setting conveniently near the beach, Pura Tanah Lot, authentic Balinese villages and most popular destinations on Bali.